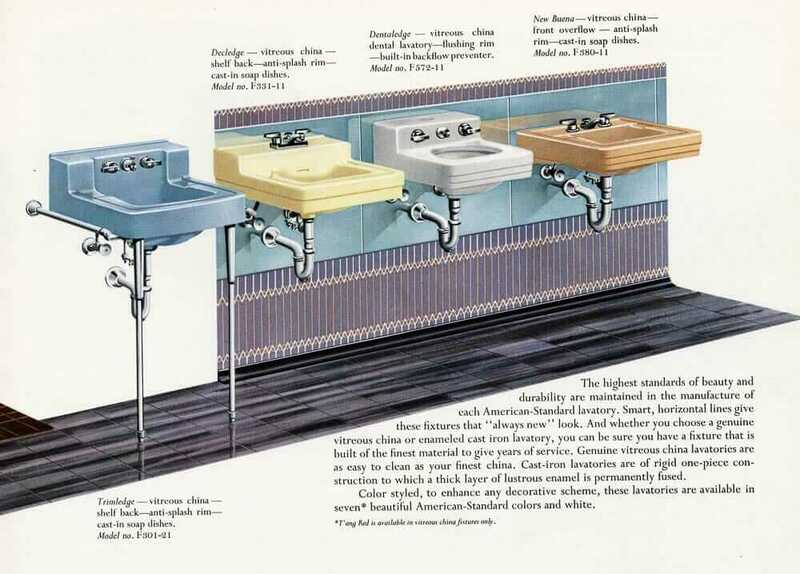 Do you have a vintage American Standard sink? 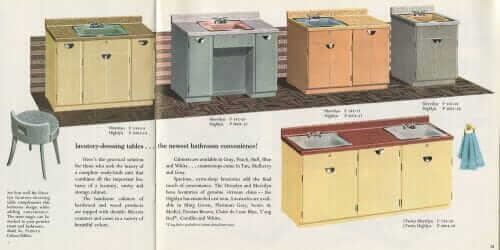 If it’s from around 1955, this story might help you identify the name of your design. 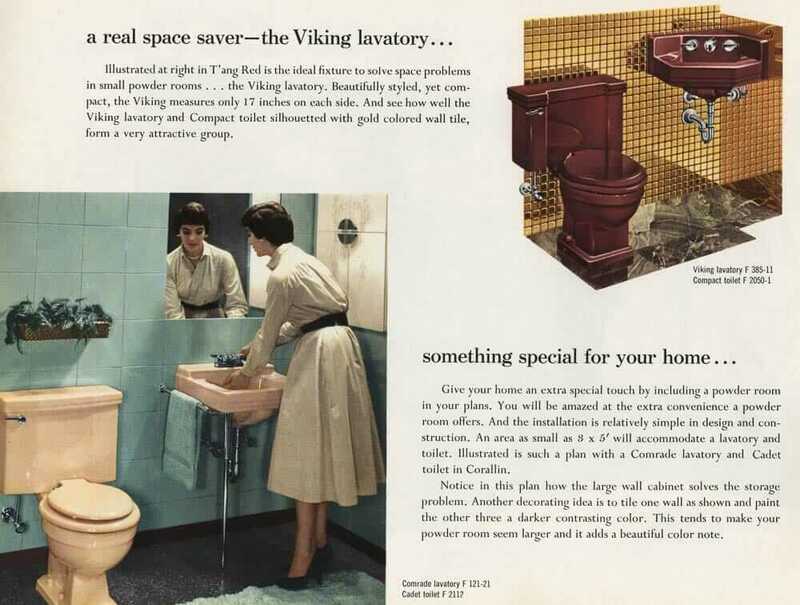 It’s also fun to look at old brochures, like this one from my personal collection, for color and decorating ideas. Dentaledge — yes, a dental sink complete with flushing room and built-in backflow preventer! 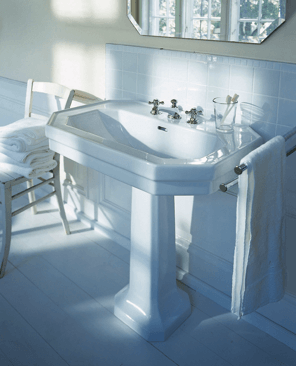 Read more about dental sinks here. Above: Those are twin “Companion” lavatories. And the metal hudee-rimmed sinks are Highlyns, dropped into Merrilyn vanities (made of wood, not steel). So many sinks — in so many colors — to choose from in 1955! 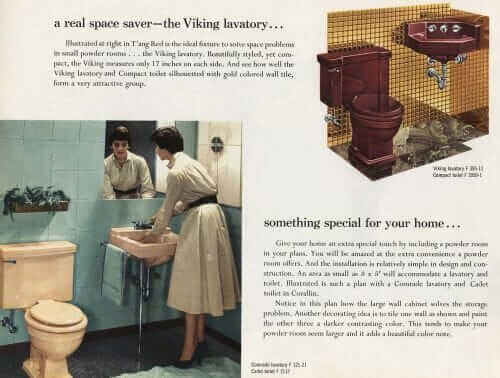 A couple of those ads were a little racy for 1955! 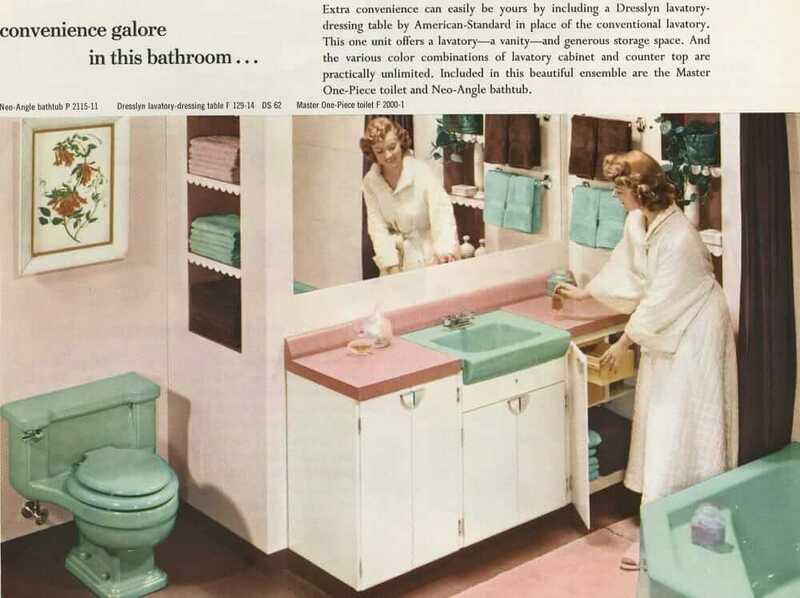 I’m not a fan of having the commode so close to the sink. I was thinking they were trying to catch the attention of men. Perhaps this was a reflection of the times. This is even more true of modern plumbing fixture brochures. 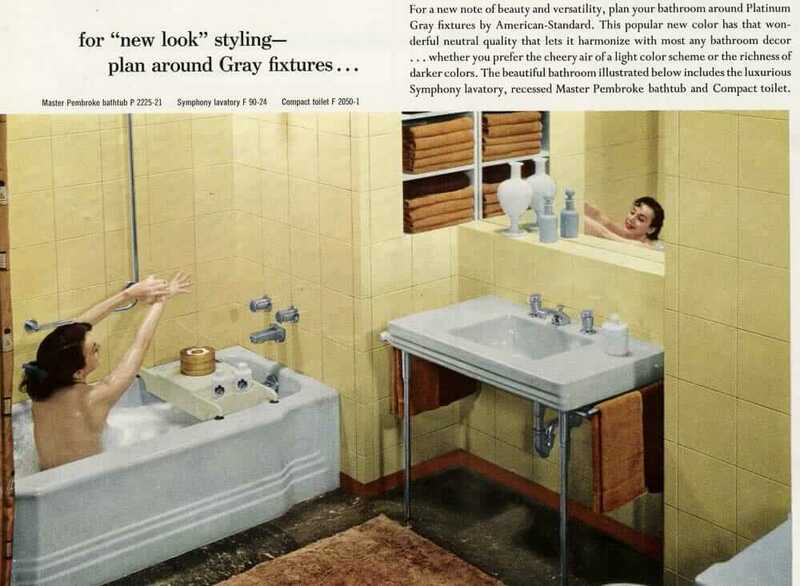 I don’t think it’s all for men though – women seem to like pics of themselves in the showers and tubs. You’d think men hardly ever shower or bathe based on 90+% of people shown being women – usually younger white women. 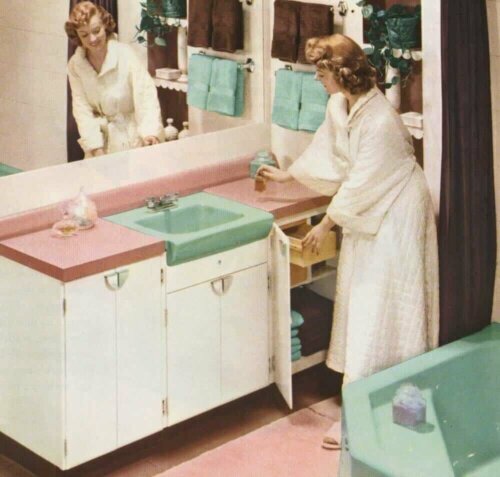 The home I live in was built in 1953 and one of the bathrooms has pink fixtures. I would like to know what shade of pink they are. 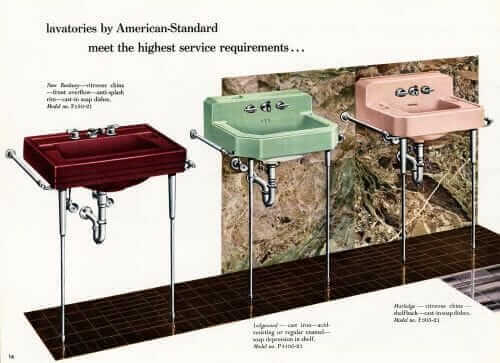 They were made by American Standard and I believe the color is what they called Corralin. 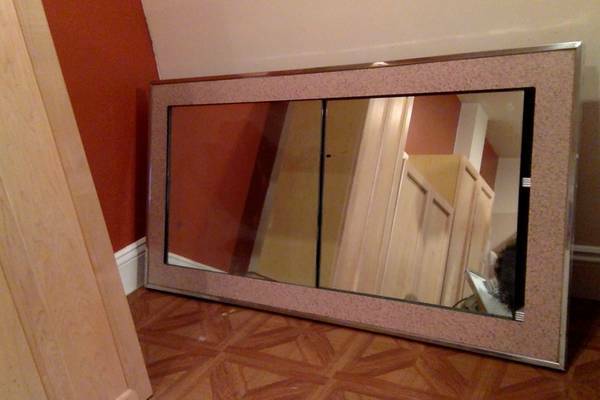 It is not a deep pink but more of a pastel color. Was the color Venetian pink available at this time? 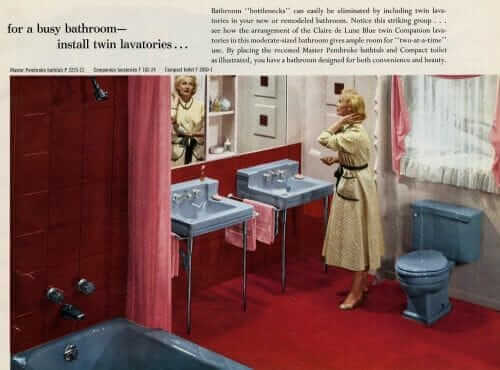 I believe it may have been the new color in the 1960’s. 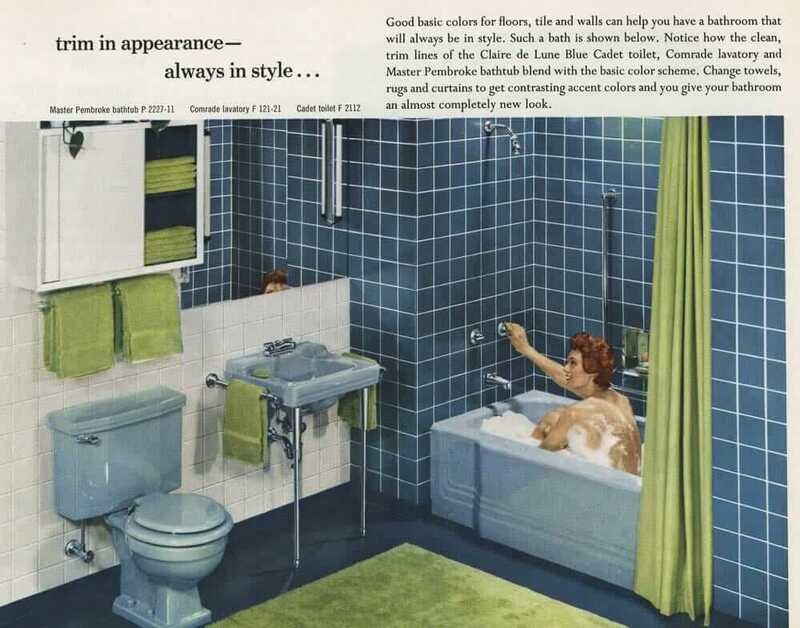 I may have to replace the toilet and need to know what color I am looking for. Thank you, Pam, for explaining your policy about buying/selling in the comments! I didn’t know you had a “want” list. I will look for it. Thanks again. 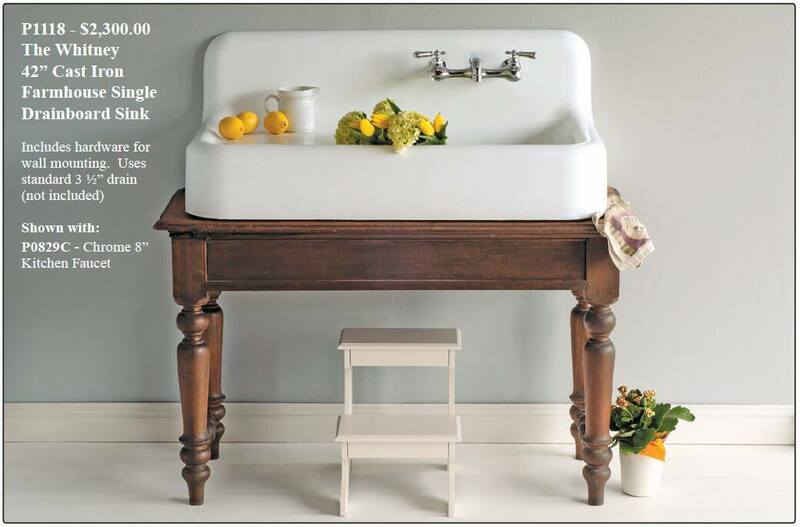 Hi Joann, when I say “want” list — I mean YOUR “want” list related to the kind of sink(s) you are looking for.